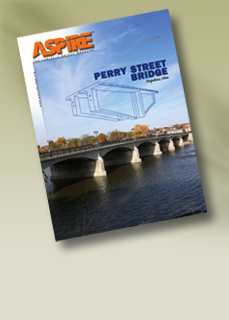 Using expertise gained from a 100-year history	with all types of bridges to meet owners' needs. Soaring across the Mississippi River. Precast design meets tight schedule.